After much consideration and thoughtful discernment, the Vestry of St Stephen’s Church is thrilled to share this announcement about our new full time Rector. Our church family has supported each other through a long transition and we are happy to welcome Rev. Paula Toland as our leader and partner as we begin the next chapter in St. Stephen’s history. Rev. 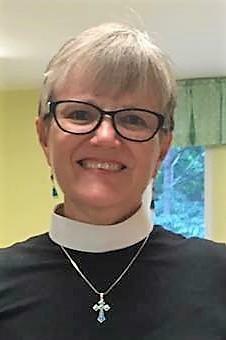 Paula brings a broad range of skills and experience in ministry, liturgy, Christian formation, pastoral care, and administration. She is passionate about inviting people to experience God’s grace because of her deep appreciation for the Gospel. Rev. Paula is committed to inter-generational ministry and inclusiveness; creating a space where all are welcome as part of our community. We hope that you will join us in welcoming Rev. Paula as she begins her partnership with St. Stephen’s by presiding at the 10am service on November 25th.